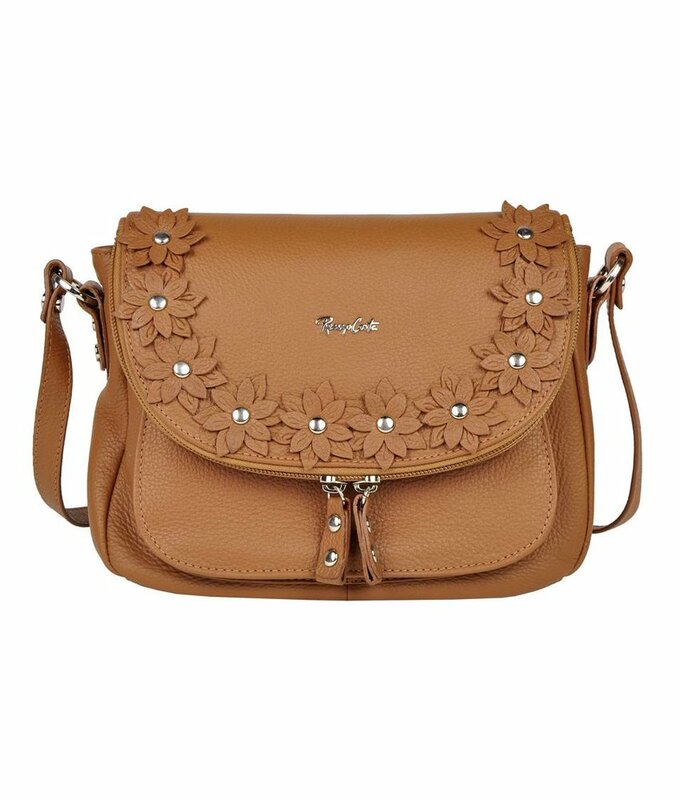 Trendy brown grained leather shoulder bag with flowers by Renzo Costa brand. 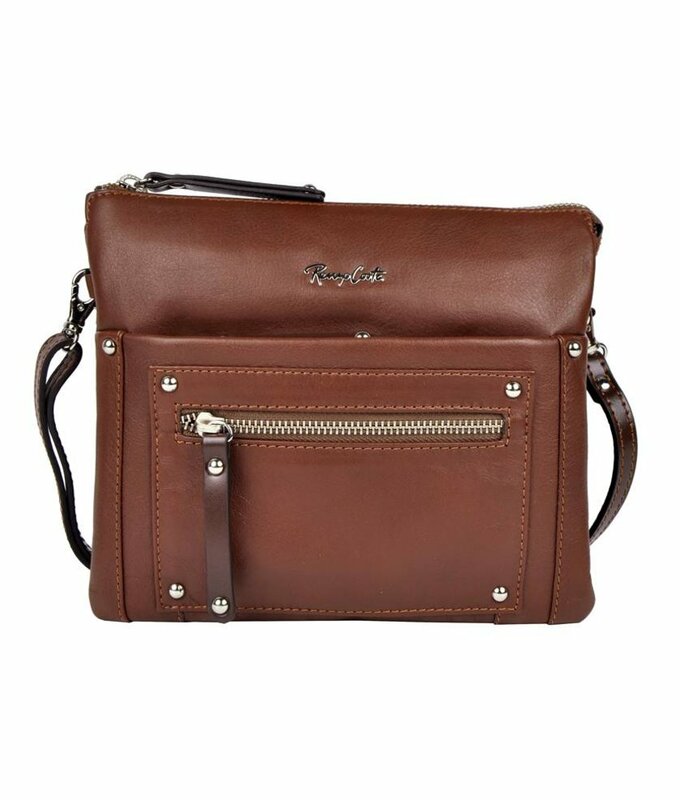 Practical dark brown leather across shoulder bag by Renzo Costa. 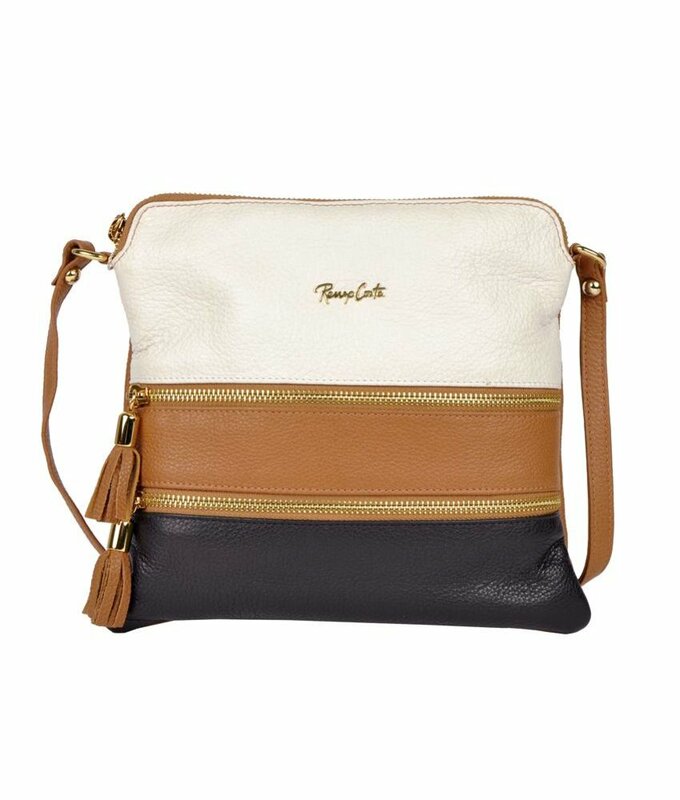 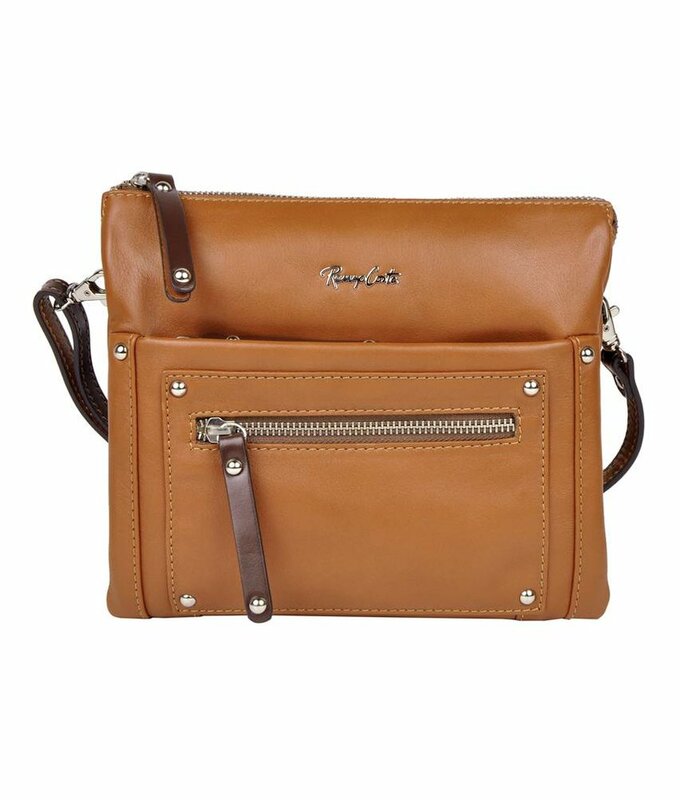 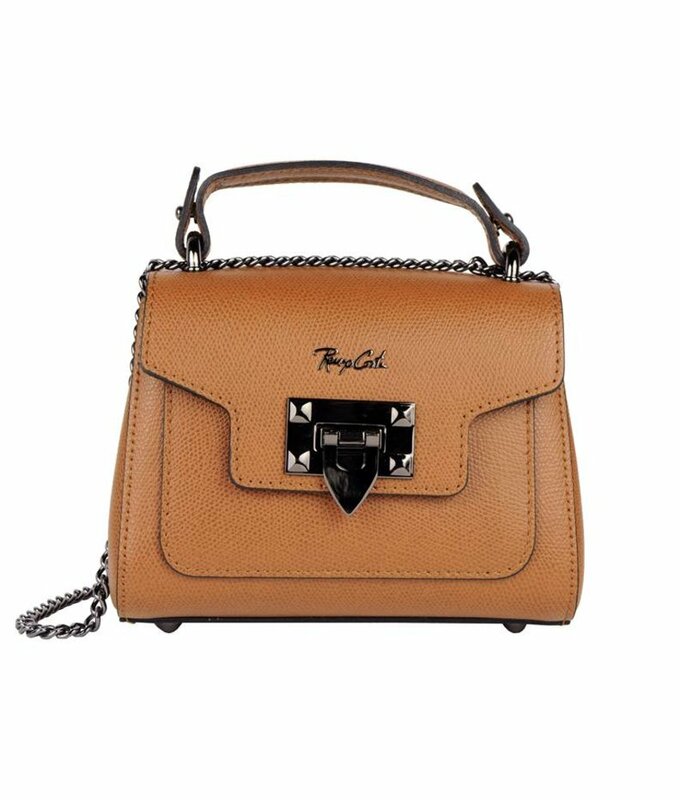 Practical brown leather across shoulder bag by Renzo Costa.